What to do if your child's school isn't teaching reading right? After our recent examination of why American kids aren't being taught to read well, we received a ton of questions, mostly from parents. So we went to the experts to get answers. In early September, we released an audio documentary and accompanying article called Hard Words: Why aren't kids being taught to read? The story documented that the scientific research about how children learn to read is not well understood by many teachers and is not guiding reading instruction in many schools. The story has been shared widely on social media and has prompted a lot of questions, particularly from parents, about what they should do if they want to improve how kids are taught to read. We reached out via email to researchers and advocates pushing for changes in reading instruction for help with some answers. If you haven't yet read or listened to Hard Words, you might want to do that first. Some of the terms you'll find below are defined in the story. Also, we will be continuing to report on reading so please write to us with your questions and comments at contact@apmreports.org. Or find APM Reports (Facebook | Twitter) and the Educate podcast (Facebook | Twitter) on social media. 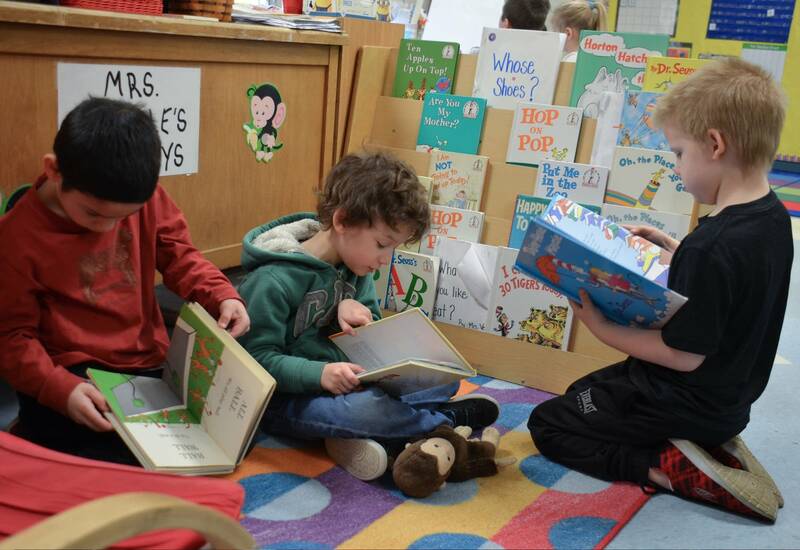 ▹ How can I find out how my child's school teaches reading? ▹ What if my child's school is not teaching reading in ways backed by science? ▹ I want to do some activities with my child at home. What do I do? ▹ I think my kid is struggling with reading. How do I know? ▹ I want to do something to help. Who do I contact? 1. How can I find out how my child's school teaches reading? How do I know if their approach is backed up the science? Experts say that you want to find out what programs, materials and approaches your child's teacher uses for core reading instruction. Look at the school and district websites, ask the teachers and administrators, but know that schools tend to use a lot of jargon when they describe how they teach reading — and everyone says what they're doing is backed up by research. 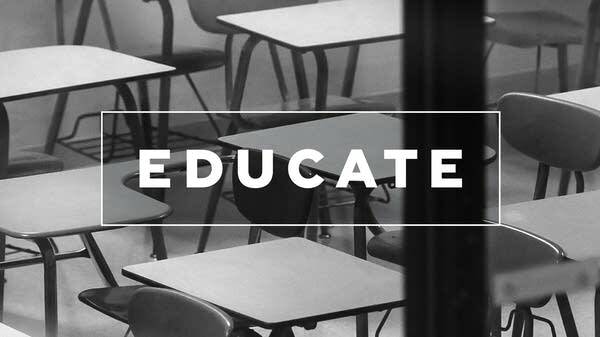 "Parents need to arm themselves with information and be willing to ask the tough questions," said Liz Hembling, a member of Decoding Dyslexia Maryland who shared the story of her daughter's struggle with dyslexia on our podcast, Educate. Hembling recommended asking teachers to explain their approach. "If they are not teaching the sounds of language and are relying on kids 'reading a lot' and 'using pictures to get the meaning,' I would press further." Ask teachers and administrators to explain the research behind their approach too. "They should be able to do so with ease and in a way that will make sense to those not involved in reading education," said Tara Cassidy, a speech-language pathologist in Minnesota. "I want to hear about the research in relation to how the brain learns." "Is there a poster encouraging students to guess at words from the context? Is there a 'word wall' with words listed by the alphabet, regardless of the sounds those letters represent? Those are not good signs." If your child's school uses the term "balanced literacy," ask what that means. Balance sounds good, but the term often indicates an essentially whole-language orientation that assumes reading comes naturally and doesn't include enough time teaching phonics. Experts say that you want to see your child's phonics instruction described as "explicit" and "systematic." This is more effective, according to research, than an "incidental" approach, which means teaching phonics as students encounter unknown words. It's probably a good sign if your child's school uses the term "structured literacy," said Kate Mayer, a former teacher and member of Everyone Reads T/E, a parent advocacy group in Pennsylvania. That's the term used by the International Dyslexia Association to describe reading instruction that teaches children decoding and the sound structure of spoken words. There's a table that compares the instructional elements of scientifically based reading instruction with the elements of whole-language approaches on page 18 of this article. Several people suggested asking to visit your child's classroom during reading time or offering to volunteer. "Even if a curriculum is sanctioned by the district, each teacher may use a different approach," said Jessica Hamman, founder of Educator Lab, a company that designs courses for teachers. When you're in the classroom, pay attention to what's on the walls, said Louisa Moats, a reading expert quoted in our story and documentary. "Is there a poster encouraging students to guess at words from the context? 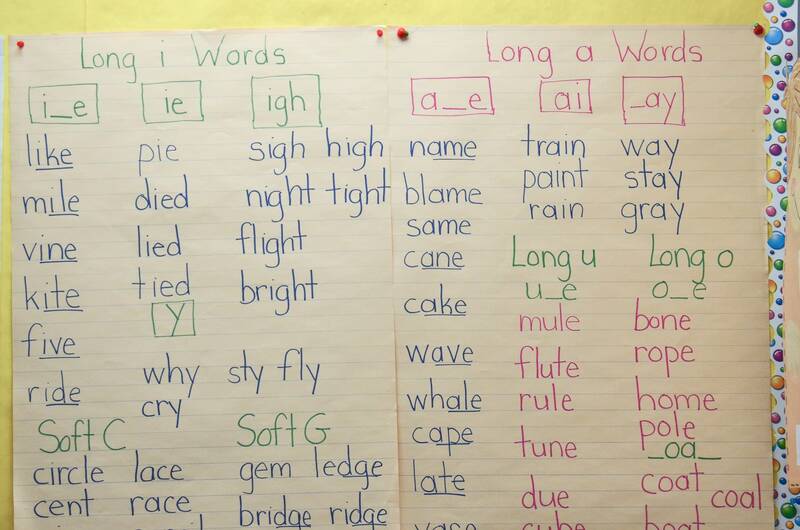 Is there a 'word wall' with words listed by the alphabet, regardless of the sounds those letters represent? Those are not good signs," Moats said. And pay attention to what the kids are doing, said Cassie Seiple, a parent and former teacher in New Orleans. "Do they talk about letter sounds and patterns? Are they saying each sound and sounding out the letters or are they memorizing and guessing?" You want to see some direct instruction in your child's classroom. That means teacher-led lessons. This is a big point of contention in the debates about reading instruction. Whole-language approaches to reading instruction are rooted in strong beliefs that children learn best when they're allowed to direct their own learning. But a recent meta-analysis of 50 years of research shows that direct instruction is remarkably effective. Something you don't want to see, according to Nora Chahbazi, founder of the Ounce of Prevention Reading Center in Flushing, Michigan, is teachers "asking students in K/1 (or struggling readers of any age) to read independently and read more when they haven't been taught HOW to read." Look at your child's work too. "Are they bringing home rings of words to practice and memorize?" Mayer said. "Are they studying weekly spelling words that don't follow specific patterns? Are they bringing home reading strategy sheets that tell them to look at the pictures to figure out the words in text? All of these things would indicate a program that is not using the science of reading." You may also be able to assess what's up with your child's reading instruction by asking him or her, in about first-grade, to sound out or spell a nonsense word, said Jeannine Herron, a neuropsychologist in California. "How would you write the word NIM (rhymes with HIM)? Or BAP (rhymes with CAP)?" she said. "If he has been taught to recognize words by their visual appearance, he may not be able to sound out a nonsense word like this." Finally — or perhaps to start — I recommend asking teachers and administrators this question: How do children learn to read? The answer can help you uncover the core beliefs at work in an approach to reading instruction (there's a helpful quiz about reading beliefs here). You don't want teachers or administrators telling you that children learn by being read to or that reading comes naturally with lots of practice. The science shows clearly that learning to read is not a natural process and that children need to be taught how to decode words. 2. What do I do if my child's school is not teaching reading in ways backed up by science? Pray your child is one of the kids who doesn't need much instruction. That's basically what a bunch of parents and experts told me. If your child is struggling, "find help," said Tracey Ely, who runs a dyslexia resource center in South Carolina. "It is important to get help early. Don't wait and let him fail." (For more advice on what to do if your child is struggling, see question 4). What to do if reading instruction doesn't line up with the science? "I honestly don't really know," Seiple said. "Our son's school was very opposed to phonics, saying it was boring and too slow. We have moved schools twice and are still paying a tutor." Trying to get schools to change can be a frustrating experience. "I've found that as soon as I start asking questions about curriculum the school folks get prickly," Mayer said. Talk to other parents about reading, get together with them, said Alison Dryfoos-Mazzie, a member of Decoding Dyslexia Pennsylvania. "Try to start a group to advocate for something appropriate for your children. There is more power in groups." "The most important thing for parents is to make (reading) a pleasurable activity for children. You are not their reading teacher. Do not focus on the mechanics of reading." John Alexander, executive director of Groves Academy, a private school in Minnesota for children with learning disabilities, said the same thing. "Have parents start a parent advocacy group and bring in speakers who know how reading should be taught," he said. "Ideally, you would have teachers join the group." This is an important point. Try to be on the same team with your child's teacher, advised Lisa McBride, whose daughter has dyslexia. "Teachers are usually doing what they are told," she said. "If they do not feel personally attacked, they may be very forthcoming on what they are being asked to do versus what they may feel your child really needs." But be persistent. "People need to get involved and get active," Hembling said. "My school district started implementing the same changes they made in Bethlehem, Pa., but it wasn't without a fight. We went to the school board, met with administrators and put the pressure on." "Most bureaucracies are slow to make changes or adopt new programs," said Jan Wasowicz, who moderates a listserv for researchers and educators trying to improve reading instruction. "Take it to the highest authority. Join forces with other parents. Educate yourself on different programs and best practices supported by science. Information is power." 3. I want to do some phonics and phonemic awareness activities with my child at home. What do I do? I got a lot of different responses to this question. Some people chimed in with specific books and programs they recommend. "There are some terrific ones out there," said Linda Phelps, a parent and former school administrator in Massachusetts. "But do you understand what you will be teaching or reinforcing?" Teaching phonics well requires good training. "I still think the most important thing for parents to do when it comes to reading is to make it a pleasurable activity for their children," Mayer said. "You are not their reading teacher. Do not focus on the mechanics of reading. Fill your house with books, show them that there are all kinds of reading by modeling it, reading aloud to them, singing songs, playing word games and talking, talking, talking!" Judi Dodson, a LETRS trainer (LETRS training was featured in the documentary), said parents should keep in mind that reading comprehension depends not just on decoding skills but on vocabulary and background knowledge too. Parents play a key role in exposing their children to lots of language and information. That said, there are some specific things parents and caregivers can do to help develop a child's phonemic awareness. "Reading nursery rhymes and poetry, singing rhyming songs can be very helpful to developing a child's ear for listening to and noticing patterns of rhyming and alliteration in oral language," Dodson said. She also suggested doing things like comparing and contrasting the sounds in words. For example, ask your child which word doesn't belong in groups of words such as: mat/pat/cat/man or mat/man/mop/sat. "Play around with words," Cassidy said. You can do listening games where you have your child take away syllables or sounds, she said. "For example, say 'plate.' Now say 'plate,' but don't say /p/. What's left?" There are nonprofit organizations that provide specific resources. Several people recommended Reading Rockets, a public media initiative to provide information on how young children learn to read. The website includes several helpful tip sheets including Activities to Encourage Speech and Language Development, Playing with Word Sounds, and Making Friends with Phonemes. Wasowicz recommended Beginning with Babble, a free mobile phone app that gives parents daily tips and activities matched to the age of their child. Several people also suggested Understood, a nonprofit that focuses specifically on children with learning and attention issues. On the website, you can answer a few questions about your child and get customized information and suggestions for things to do and places to go for help. There is also this useful guide, A Child Becomes a Reader, from the National Institute for Literacy. 4. I think my kid is struggling with reading. How do I know? What do I do? It can be hard to know if your child is struggling. Understood has a checklist of what dyslexia looks like at different ages to help you determine if your child might have a problem that needs intervention. There's also a free dyslexia screener here. If you suspect a problem, don't ignore it. "I always tell parents to trust your gut," Hembling said. "You know your child best." Schools may put you off or tell you your child will catch up. "When you tell them you think your child has dyslexia, will they say the word 'dyslexia?'" Tingley said. "Do they actually have any kids identified in the district as dyslexic?" Ask for data. "How do you know my student is on track in reading?" Mayer said. "May I see their benchmark data including where they are performing compared to their peers? A huge red flag is when the school refuses or deflects your request for any type of data." If the school won't help, and you have the financial means to do it, you may want to get your child privately tested. This is terrible advice to have to give, because private testing can cost thousands of dollars, making it impossible for many low and moderate-income families. But there may be low-cost options in your community. "Consider using a group associated with a college/university that may charge reduced fees to secure clients for their graduate school students," McBride said. "If so, make sure that there is a well-qualified psychologist/ neuropsychologist who will oversee this testing." The bottom line is that early intervention is important. "Parents can spend months or years trying to get a school to improve their instructional approach, losing precious time for their struggling reader," said Sandie Barrie Blackley, co-founder of the Dyslexia Services Foundation. "For the child's sake, the best advice is don't wait. Seek help outside the school." "You could face folks who call you the 'crazy mom.' We plug through it, play nice and hope that the work we are doing will spare some kids from the pain and suffering many kids have endured in our district." Consider hiring a private tutor. "Borrow money from family, take an extra shift at work," Tingley said. "There is no time to waste." It can be difficult to find a good tutor or to even know what you're looking for. "Recognize that tutors are not licensed," McBride warned. She and several other people suggested looking for a tutor certified by the Academy of Orton Gillingham or the Academic Language Therapy Association. Jule McCombes-Tolis, chief academic officer for the International Dyslexia Association who was in our 2017 documentary, recommended that families use the provider directory available through the Center for Effective Reading Instruction. There are also specialized private schools for students with dyslexia, but tuition at these schools can be $30,000 a year or more. Another option is to keep your child in public school, fight for appropriate services, and consider a summer camp for children with dyslexia, McBride said. She pointed to this list of camps and clinics. Something else to be aware of is the emotional strain that can come from having dyslexia, especially if a child is not getting the right kind of help. "Dyslexic children can often feel defeated, depressed, angry, or scared," Dryfoos-Mazzie said. If you can afford a tutor, "it's best to have a tutor who is compassionate and understands a child's anxiety, frustrations, and worries." If your child's school is providing specialized instruction, educate yourself about what your child is getting. McBride pointed out that sometimes schools will hire paraprofessionals who are not licensed or fully qualified to work with your child. She recommended asking the school how the paraprofessional was trained and how many hours of instruction the person had "to ensure they can provide the necessary reinforcement to the child in more than one way. (Not 'drill and kill')." 5. I want to do something to help change the way reading is taught in schools. What do I do? Who do I contact? I recommend contacting the dyslexia advocates in your community, even if your child does not have dyslexia. They know that what their children need in high doses — early, explicit, systematic phonics instruction — benefits all kids, and yet it's missing in many schools. Decoding Dyslexia, which has chapters in all 50 states, is a parent advocacy group that has been very helpful to me in my reporting. Many of the Decoding Dyslexia parents I've talked to have the financial means to send their children to specialized private schools. In fact, I was once at a Decoding Dyslexia meeting in Maryland and realized that all but one of the mothers in the room had already moved their children to private schools. The one child who remained in public school had just graduated from high school. So, technically, all these mothers were fighting for other people's children. And what they're fighting for is not just better services for children with dyslexia but better core reading instruction for all kids. "It is not an easy process!" Mayer said. "Know if you embark on this path [trying to change reading instruction] you could possibly face folks who call you the 'crazy mom.' We plug through it, play nice and hope that the work we are doing will spare some kids from the pain and suffering many kids have endured in our district. We are making little bits of change but know nothing will truly happen until the people who are leading the district start believing there is a problem." "Demand more from your school administration," Cassidy said. "Donate to scholarship programs so that middle and lower-income students may also afford tutoring when the schools are falling short." "I think all the top-level down work has been done," Tingley said. "Researchers have done the brain science. Legislators have passed special-ed law at the federal and state levels. The missing piece is the bottom-up piece. Forming parent groups and taking action is very effective and can lead to amazing results. [Parents] have to force the school board and the administration to provide the appropriate professional development for teachers until the colleges of education do their job. "I commend any parent who will stand up for all children. It takes time and energy, but you will be as proud of this effort as any in your lifetime," she said. "This is a civil rights issue. We are robbing millions of children of their future."